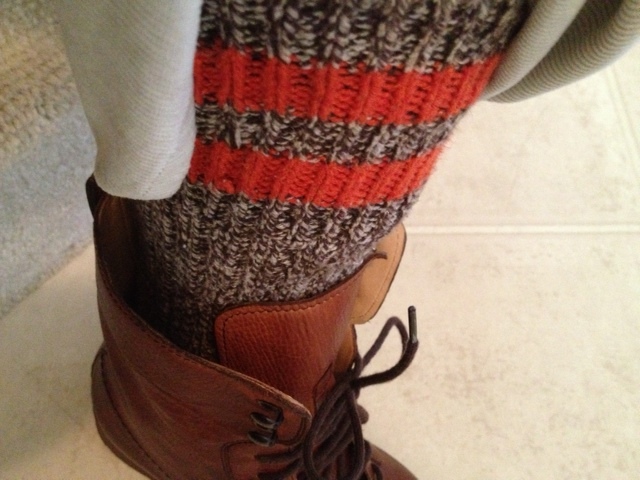 Thermal boot socks by J.Crew. 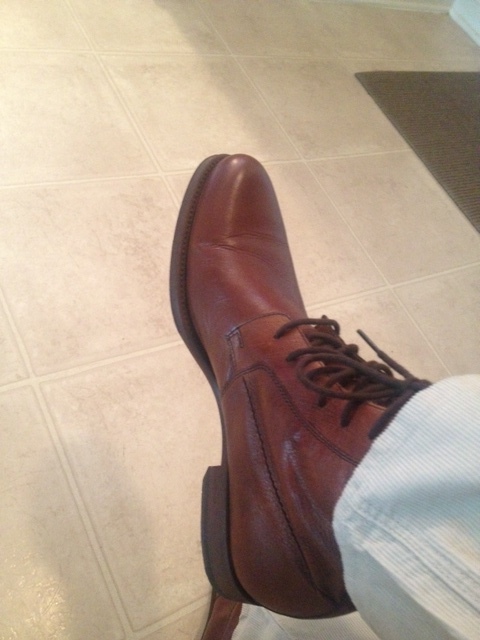 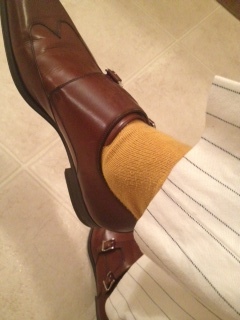 Corduroy trousers by Banana Republic. 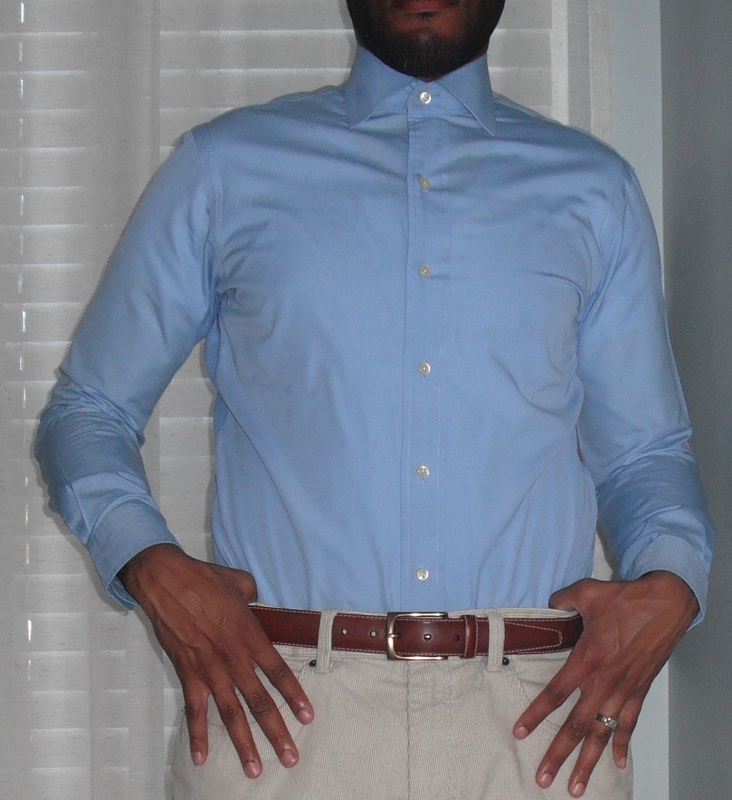 Blue spread collar dress shirt by Ralph Lauren. 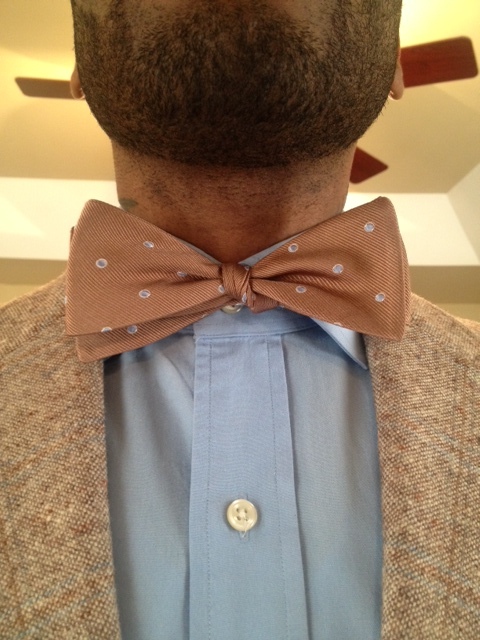 Polka dot bow tie by Banana Republic. 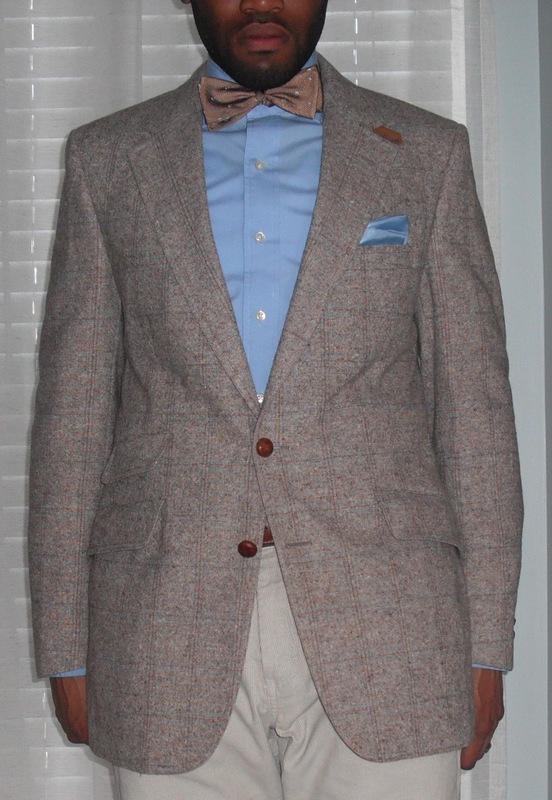 Tweed speckled blazer with notch lapels, tab collar, two button closure, original buttons, flap pockets, ticket pocket, leather elbow patches, and side vents is from Hong Kong Vintage Clothing. 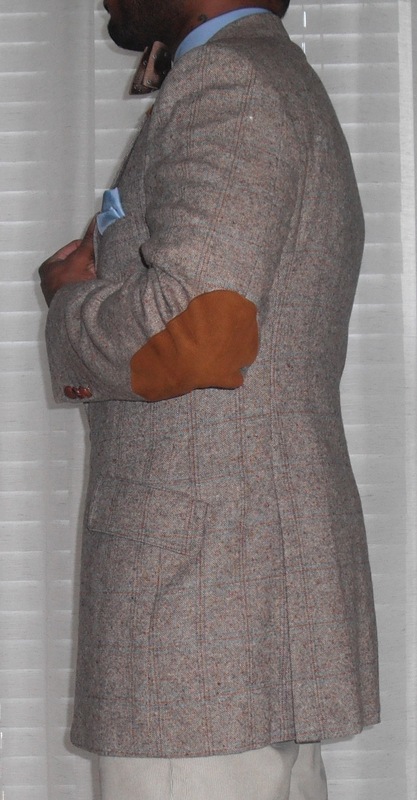 Tweed speckled double-breasted overcoat with peak lapels and rear center vent is a thrifting find. 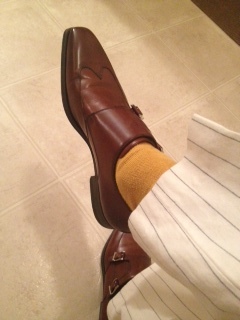 Gold dress socks by J.Crew. 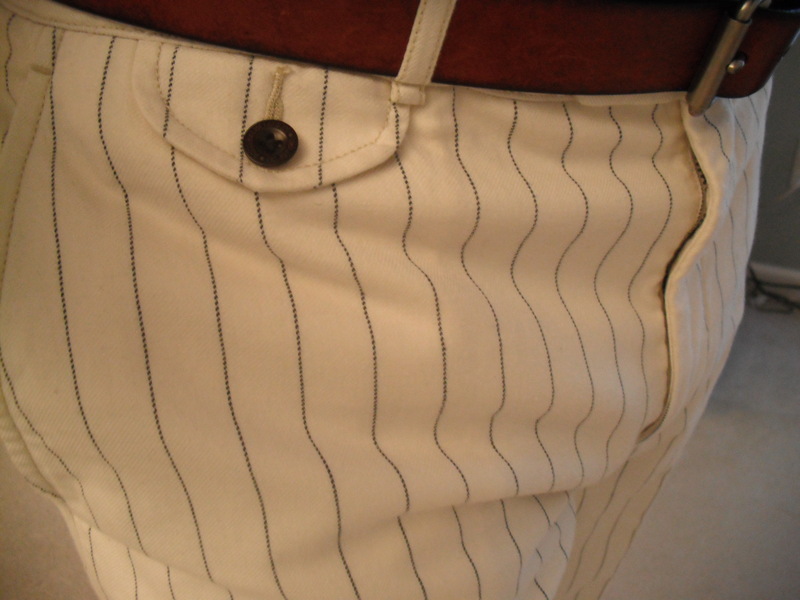 Cream trousers with navy chalk stripes by Ralph Lauren. 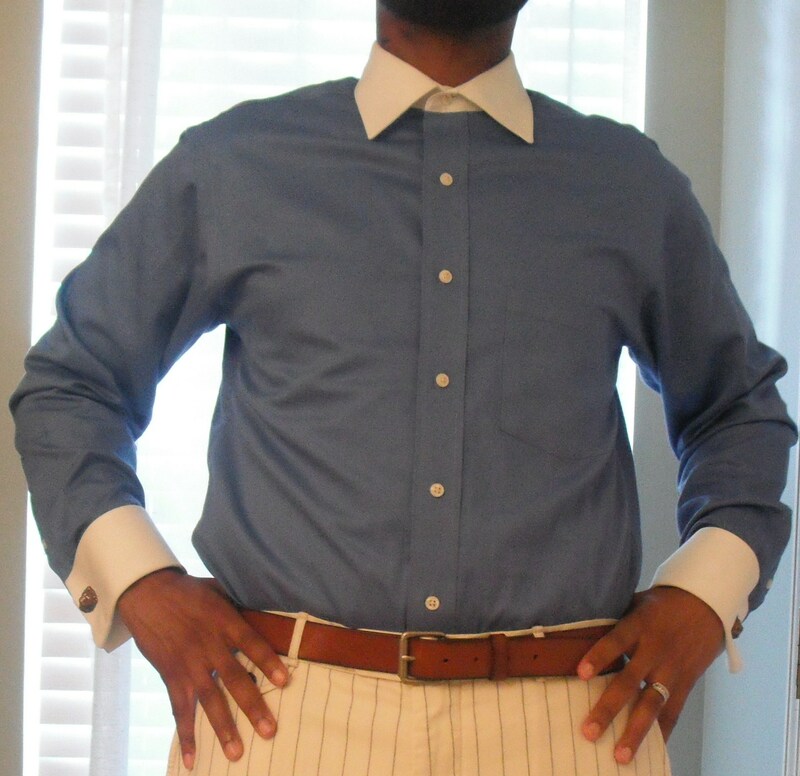 Blue french cuff dress shirt with white spread collar is by Brooks Brothers. 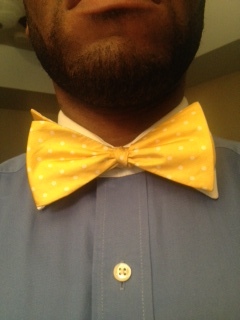 Gold polka dot bow tie is a Belk’s store brand. 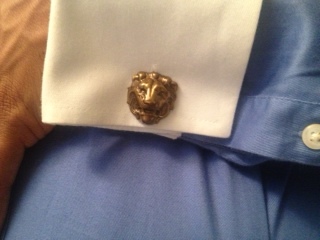 Brass lionhead cufflinks are a find on Etsy.com. 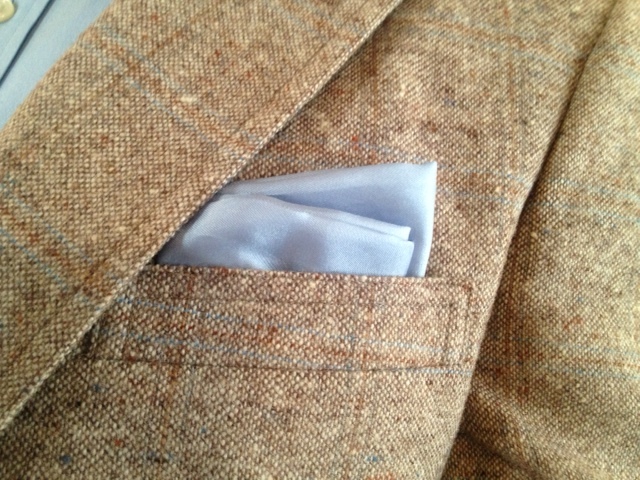 Navy pea coat by Christian Dior is similar to the coat listed (currently sold out) in the menswear boutique.